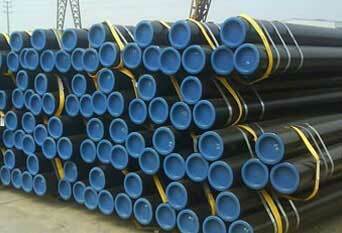 ISO Approved Supplier & Exporter of ASTM A333 Grade 6 Carbon Steel Low Temperature Pipe. ASTM A333 Grade 6 Seamless Pipe, A333 Pipe, A333 Grade 6 Pipe, ASTM A333 Grade 6 Pipes, ASTM A333 LTCS Pipe Dealer, ASTM A333 Gr 6 Low Temp. 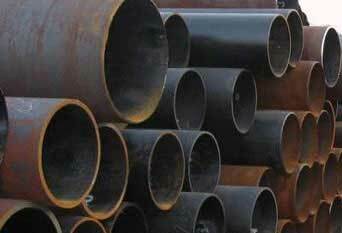 Carbon Steel Pipe Supplier in Mumbai, India. Piyush Steel is one of the most reputed Manufacturer and Exporter Carbon Steel traders in the Indian market. 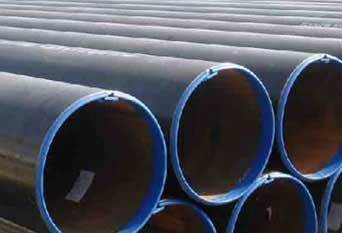 We offer ASTM A333 Grade 6 Pipes in different type of thickness, specification, shapes and dimensions. This specification covers welded and seamless steel pipe for low temperature service. The Grade 6 alloy steel engaged is quite similar to AISI 4032 low alloy. 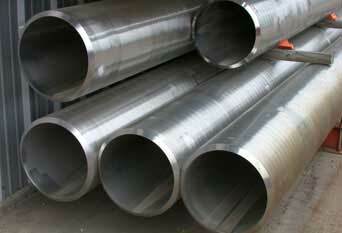 Also, Grade 6 ASTM A333 Pipes are termed as low alloy steel that are relatively similar to 4032 in features. Our ASME SA333 Grade 6 Low Temperature Pipes are being used for low temperature service piping down to less than 50 F. Meanwhile, machinability of Grade 6 ASME SA333 is excellent, and similar to low alloy 4032 steel. Our ASTM A333 Grade 6 Low Temperature Carbon Steel Pipe are extensively used in different applications industry, and are being made up from refined technology along with better-quality grade of raw materials in the company of newest characteristics. We offer the same at market leading prices. Low Temperature Carbon Steel Pipe, Low Temperature Gr 6 Carbon Steel Pipes, ASTM A333 Gr.6 Carbon Steel Welded Pipe, ASTM A333 Gr. 6 LTCS Pipe, Carbon Steel Grade 6 LTCS Pipe Distributor. ASTM A33 Gr 6 Low Temperature Carbon Steel Seamless Pipe, A333 Grade 6 Carbon Steel Pipe, Low Temp Seamless Carbon Steel Pipe Exporter, ASTM A333 Pipe Manufacturers in India. astm a333 grade 6 pdf, astm a333 grade 6 equivalent, astm a333 grade 6 pipe specification, astm a333 grade 6 pipe dimensions, astm a333 pdf download, astm a333 grade 6 density, astm a333 low temperature pipe, asme sa333 gr.6 seamless steel pipe, astm a333 grade 6 seamless pipe, grade 6 pipes, astm a333 grade 6 seamless steel pipe for low temperature service, asme sa 333 grade 6 carbon steel seamless pipes, low carbon steel tube, gr.6 carbon steel material pipe, wall thickness carbon steel pipes a333 supplier, low temperature welded steel pipe distributor.